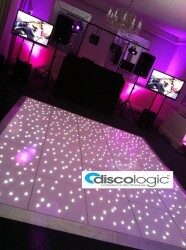 Your dj will be a professional club dj able to play all you current favourites right back to those party classics! Or why not take it to the next level and have a Video Dj that mixes the music videos as well as the tracks! We don’t just want you party to stop at you disco why not include a LED dance floor or party pictures of your guests on our super large screens or colour theme your room to any colour you desire!